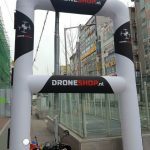 On September 15th and 16th, DronEvents will be hosting an IDRA international Challengers Cup in the Eurohallen Zuidbroek. Are not you going to race? Then come, we have other fun activitys planned! 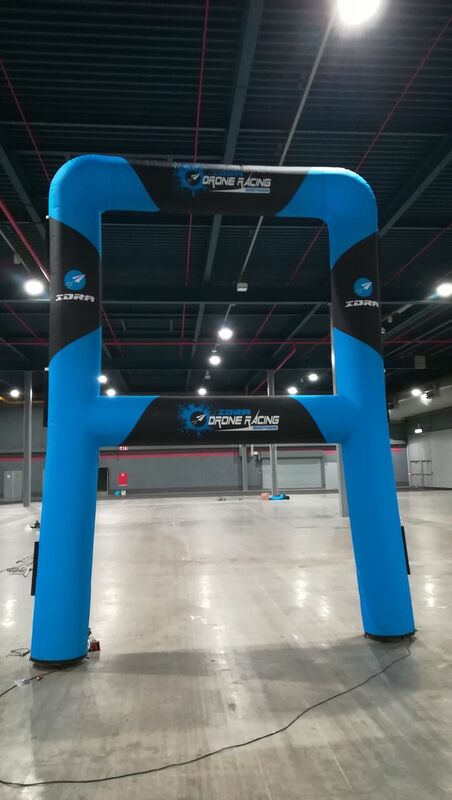 The 500 meter track consisting of DMX controlled led gates combined with multiple inflatable air gates. On Saturday September 15th we will host the IDRA qualification heats followed by the finals of the IDRA challengers cup on Sunday. During the weekend, in addition to the IDRA cup, Team and / or fun races will also be flown “with sufficient registrations”. In order to ensure that everyone can fly fully this weekend, a second track will be setup if there are more than 50 registrations. Pilots who are not qualified or waiting for the qualification can also fly on this Fun track. Besides Racing we will also organize a BBQ and possibly other FPV related activities so people do not have to be bored. 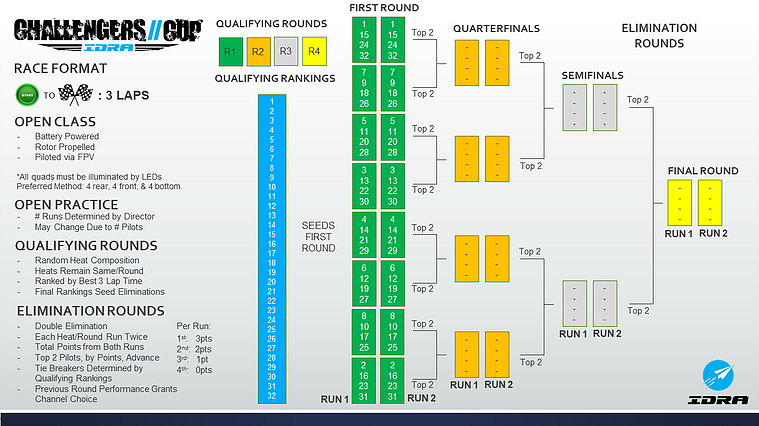 Below you can see a preview of the weekend depending on the number of registered pilots. 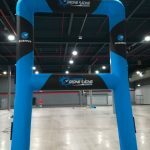 The DronEvents IDRA Challengers cup Location! 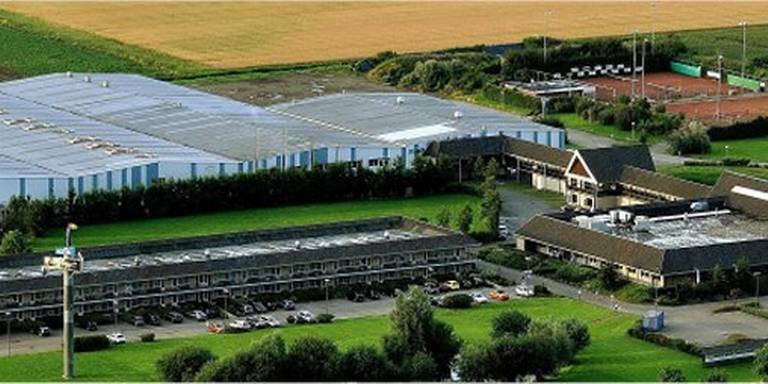 As part of Van der Valk Hotel Groningen-Zuidbroek A7 this is the ideal location to host the DronEvents international challengers cup. Located centrally between the city of Groningen and the German border (near junction Zuidbroek A7/N33). The hotel has 120 comfortable spacious rooms divided into three categories, suite, comfort and standard rooms. We would also like to welcome you in our restaurant for either breakfast, lunch or dinner. Let the Groninger hospitality surprise you. 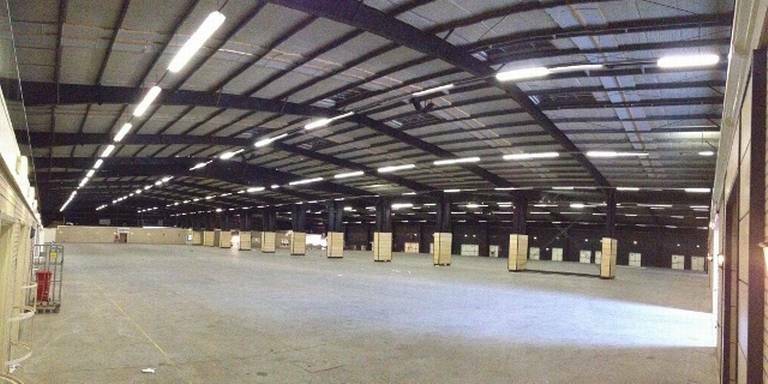 Event Hall Eurohal Zuidbroek has a floor area of approximately 6,400 m², with endless possibilities! Located centrally between the city of Groningen and the German border (near junction Zuidbroek A7/N33) with plenty of free parking. As part of Van der Valk Hotel Groningen-Zuidbroek A7 this is the ideal venue for events! Our enthusiastic and experienced events team is happy to inform you about the possibilities. 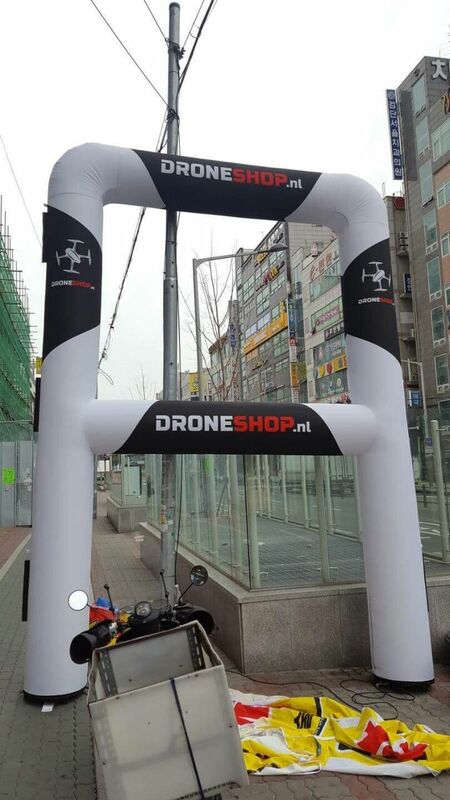 The DronEvents Foundation was founded by the demand for drone-related activities by drone users in the northern regions. To achieve this, we are committed to organizing and assisting drone related events to ensure that there are more activities for both experienced and novice pilots. We are also committed to encouraging new pilots to start with this special hobby. Thanks to the organization of events, clinics and competitions, we have been able to realize a great deal over the past year with. Due to this we have built a good reputation. 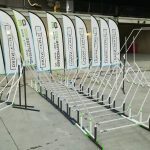 The challengers cup is made up of IDRA sanctioned regional and international competitions for professional / semi-professional drone racers to discover best pilots from the challengers for the next season of the IDRA Drone Racing series. 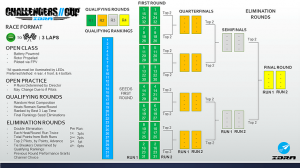 Participants compete in the IDRA challengers cup to earn points during the regional and international IDRA events, the 32 highest ranking pilots will be invited to compete for the title World Champion during the IDRA challengers Cup Finals. 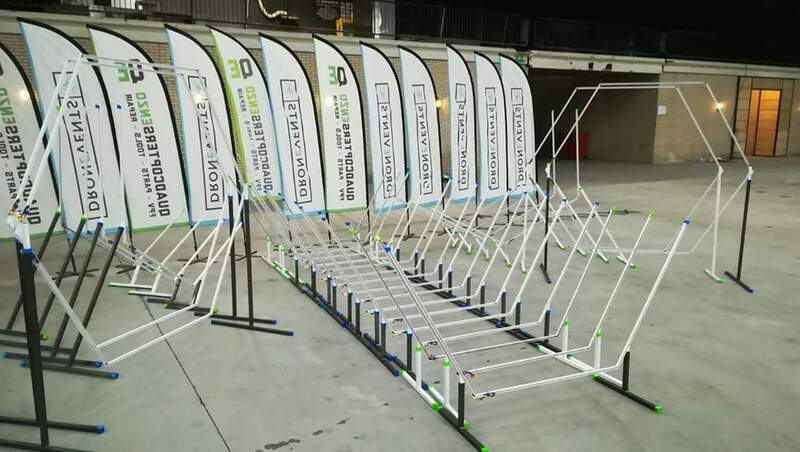 On the main 500 meter long track consisting of dmx controlled led gate elements in combination with multiple inflatable air gates, on the 15th we wilbe racing the IDRA qualification heats followd by the finals of the IDRA challengers Cup Sunday the 16th. On the fun track there will be the possibility to fly / test moments during rest so as to offer all pilots maximum flight time. 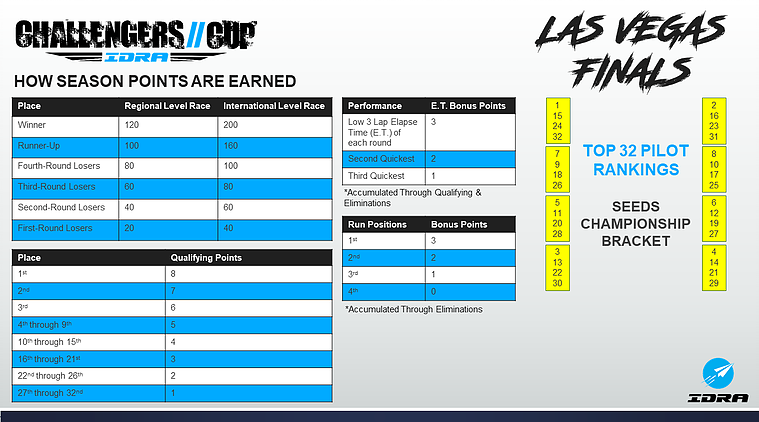 This track can also be used to keep the qualifications of the team races. Enjoy together a delicious piece of meat, fish or something else during this cozy BBQ with other FPVers. 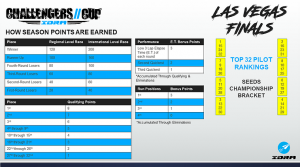 With sufficient interest a team race will be organized with on the 15th on the fun track qualifications and with finals on the main track on the 16th.